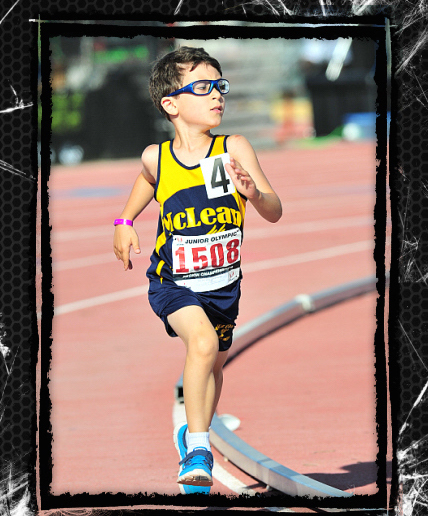 McLean Youth Track and Field provides Northern Virginia kids (ages 5 through middle school) with opportunities to learn about, compete in and develop a love for track and field. The USATF Junior Olympics meets provide (optional) post-season competition opportunities for MYTF runners, jumpers and throwers. The Spring JO events are Track and Field competitions. The Fall JO events are cross country competitions. The events in both Spring and Fall generally include an Association Meet (we are in the Potomac Valley Association), a Regional Meet (we are in Region III) and a National Meet. The Spring season generally also includes a Preliminary Meet prior the the Association meet. The Preliminary Meet in the Spring and the Association Meet in the Fall is open to all comers. The top runners at the each meet advance to the next level meet through an on-line declaration process. If you are wondering whether the JOs is right for your MYTF athlete, please see the discussion regarding JOs in the FAQs and/or speak to one of the Head Coaches.